Apparent losses distort the measure of the volume of customer water consumption and cause water utilities a loss of revenue. Controlling apparent losses, however, can be very cost-effective since initial corrections may require relatively little work with potentially high payback. It is often advantageous to target apparent loss control early in the water loss control program in order to quickly generate recoveries that can seed further water loss reduction activities, particularly real loss reduction. 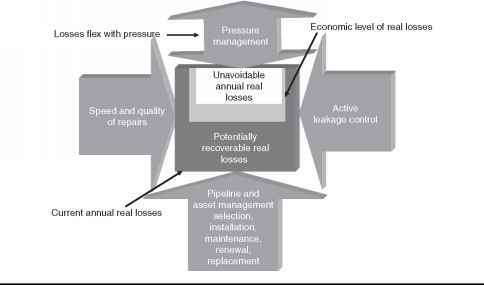 Loss control in almost any endeavor is an effort of diminishing returns, but it is likely that many water utilities have significant apparent losses which can be cost-effectively recovered to enhance the utility's revenue stream and further promote the water loss control program.